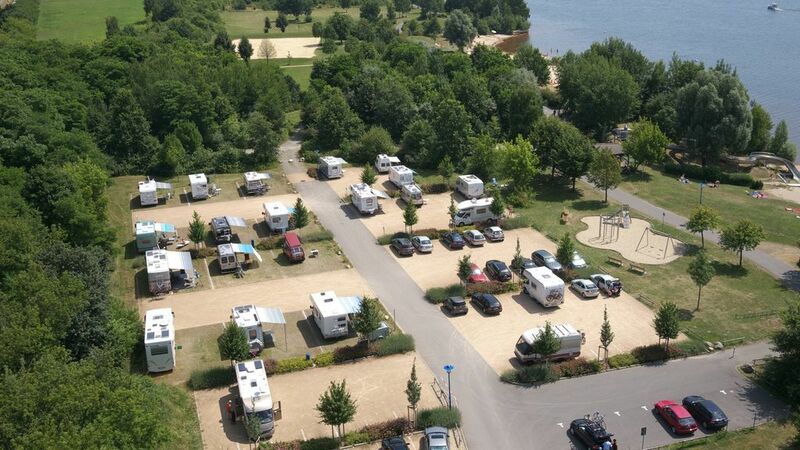 The motorhome site is situated directly on the shores of Lake Senftenberg in the Buchwalde district. Windsurfers in particular like this part of the beach. The Strandhotel's restaurant is in the immediate vicinity. A children’s playground, beach volleyball facility and water slide also provide entertainment and leisure time fun. The site is located right next to the circular cycle route at Lake Senftenberg and is connected to the cross-regional cycle path network. Please note that unfortunately we cannot accept any reservations. The family park Senftenberger See in Großkoschen also has 5 sites with electricity. These are located at the public car park.